Thank you to everyone has been following and posting to the Midwest Chapter/MLA ConnectMidwest blog. We have migrated this blog to the Midwest Chapter/MLA’s new website at midwestmla.org. The same news and information will be available on Midwest Chapter/MLA’s new website as is found. We will continue to update ConnectMidwest with announcements through October 13. Starting October 14, all new announcements will be added to the Midwest Chapter’s blog on our homepage. ConnectMidwest will be available on the web through end of the 2017. Blog posts from the MIDWEST CHAPTER MLA & MHSLA Joint Annual Conference will be available from the Midwest Chapter’s homepage at midwestmla.org. Posted in Uncategorized	| Comments Off on ConnectMidwest is moving! As the year winds down, it’s time to look back and see what happened. Check out some of the fun had at the MIDWEST CHAPTER MLA & MHSLA conference! Flickr albums have been divided by day and there is one for the conference overall. The fundraiser this year is a silent auction and we need your help! Are you creative and talented? Do you knit, crochet, quilt, make jewelry, or create other small beautiful objects? Do you know an author or an artist or a business person? If so, consider donating a silent auction item or asking a business, author or artist to donate an auction item. AND bid on the silent auction items during the upcoming 2017 Midwest Chapter/MLA annual conference! A great big ‘Thank You’ to the creative and talented members who have already stepped up and volunteered to donate a silent auction item! We will share photos and more information as we get closer to the conference. Together we can make this scholarship fundraiser a great success! Already thinking about Midwest/MLA ’17? Check out the information below and start planning now! Please save the dates of October 13 – 16, 2017, for the Joint Conference of the Midwest Chapter of the Medical Library Association (MLA) and the Michigan Health Sciences Libraries Association (MHSLA)! This conference, being held in picturesque Ypsilanti, MI, at the Ann Arbor Marriot at Eagle Crest, offers numerous learning and networking opportunities, including MLA CE courses, poster presentations, special events, and a keynote address by Curt Guyette, an award-winning investigative journalist for the ACLU Michigan. Posted in Uncategorized	| Comments Off on Midwest/MLA & MHSLA 2017: Visit Us in Pure Michigan for Pure Information 2017! The Midwest Chapter/MLA supports the Medical Library Association’s statement affirming its core values including the reliance on scientific evidence, advancement of evidence-based practice, and commitment to diversity and inclusion. Free Lunch Sharing Round Tables at Merge & Converge! Come learn and meet others at the Sunday lunch sharing round tables! These are free and open to all registered conference attendees. This year we have a combination of topics on librarianship, conference-specific, and just plain ol’ fun. As you can see in the list, there are three conference-specific topics. Get the inside story of Des Moines Diversions at this sharing table. Where’s the best food? What side activity is not to be missed? The second conference specific table, Nutrition, Cookery, & GMOs, will prepare you for our panel discussion on Monday morning. The panel discussion will be on Genetically Modified Organisms (GMOs). What are the consumer perceptions of food biotechnology? What is the environmental impact of GMOs? What are societal perceptions, attitudes, and purchasing behaviors? Find your knitting and binge-watching TV comrades at those tables. Don’t hide your non-work obsessions. Don’t see at topic that you want to discuss with others? Join one of the Wildcard tables. You pick the topic! Finally, there’s a wide range of topics related to librarianship. Whether that is hospital librarianship, research reproducibility, or productivity hacks. Come hear what others are doing which may work at your institution. Share your own expertise and experiences with others. These are not the formal MLA Roundtables, but rather an informal way to chat with others with similar interests. Find the map of table topics here. See you there! Posted in Uncategorized	| Comments Off on Free Lunch Sharing Round Tables at Merge & Converge! Des Moines is Awesome: You’re Going to Love It! We are happy to host you in Des Moines in 2016! There’s so much to enjoy about Des Moines, and we hope you take the opportunity to experience all that the city has to offer. To help guide you to some of our favorite places, be sure to check the “Things to Do” section of the meeting website. We’ve highlighted museums, art venues, historical stops, and locations to shop and eat. Need help? Please stop by the hospitality table during the meeting to get in person recommendations or ask one of the friendly Des Moines area librarians for help. By now you probably have heard that Des Moines is the hippest city in America, and one reason for this designation is the city’s amazing restaurant scene. To help you find places to meet up, we have a fantastic Google map highlighting drinks and dining close to the Marriott. Not sure where to go? Be sure to stop by the hospitality table during the meeting to get in person recommendations or ask one of the friendly Des Moines area librarians for help. Are you in town Saturday morning? Don’t miss out the food and fun at the Des Moines Farmer’s Market. Are you a foodie? The Des Moines Register compiled a list of The 50 Essential Restaurants in Des Moines. There are some very tasty options located in the Historic East Village, a neighborhood located one mile east of the hotel. If you are not up to a scenic walk, you can arrange for a shuttle from the Marriott or try a ride with Uber in addition to taxi services. Do you like zombies, great burgers, alcoholic milk shakes, or all of the above? Then, you have to check out Zombie Burger. Des Moines is definitely NOT boring. To help you find your scene, check out the Greater Des Moines Nightlife and Bars Guide for suggestions and maps. Are you looking for live music, comedy, a wine bar, a craft brewery, or coffee shop? We’ve got you covered! Not sure where to go? Be sure to stop by the hospitality table during the meeting to get in person recommendations or ask one of the friendly Des Moines area librarians for help. If you need a ride to and from the festivities, you may be able to arrange for a shuttle from the Marriott or you can try a ride with Uber in addition to taxi services. We love cycling in the state of Iowa – just ask an Iowa librarian about RAGBRAI. If you would prefer to take a biking tour of the city, or just like the option of getting around town on a bike, be sure to check out Des Moines BCycle. You can rent a bike for a day and a daily fun pass is just $6 and a bike station is just two blocks from the hotel. Are you a runner? Catch a Run in the City on this Three mile route. Whether you want to bike or run, you can pick your own custom route using The City of Des Moines Parks and Recreation interactive map of available trails. Finally, whether you like to bike, walk, or just enjoy a great nature trail, take the opportunity to visit Gray’s Lake. The 167-acre Gray’s Lake Park is located on the southwestern edge of downtown Des Moines, less than two miles from the Marriot hotel. The park is five minutes away by car, but if you don’t have your own transportation, and if you don’t have time to walk, you can arrange for a shuttle from the Marriott or you can try a ride with Uber in addition to taxi services. 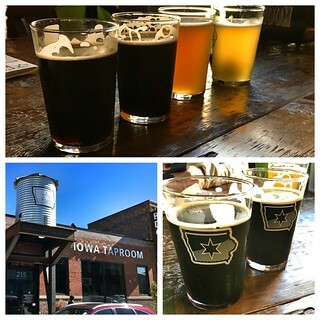 Posted in Uncategorized	| Comments Off on Des Moines is Awesome: You’re Going to Love It!